When many people think of Florida, they think of hot, flat and sunny. After all, we are the Sunshine State. However, there is much much more to Florida than that. Florida is a really long state, stretching 500 miles long, and 160 miles wide. It has two bodies of water that it neighbors, the Gulf of Mexico and the Atlantic Ocean. For those who live in Florida, know it is basically split in a few different parts. 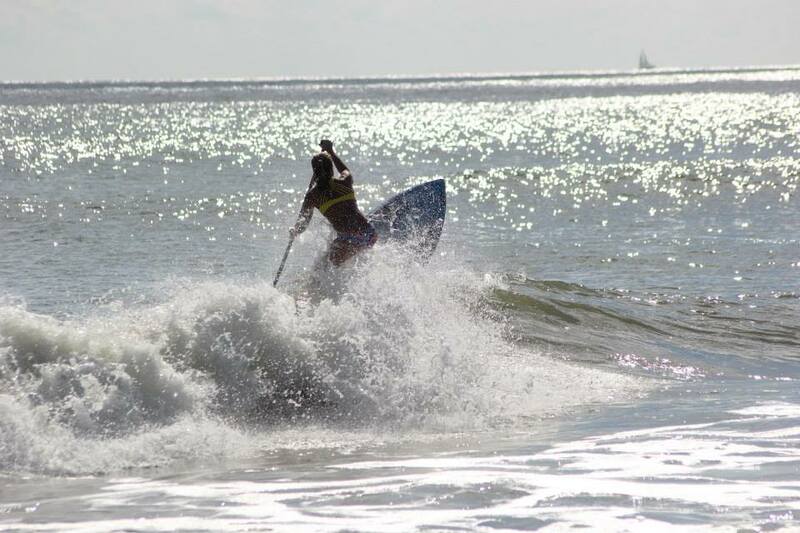 North Florida, Central Florida, South Florida and West Florida, and all offer different opportunities and conditions when it comes to SUP and water sports. The West coast of Florida borders the Gulf of Mexico and tends to have very white soft sandy beaches, and much more flat water than the rest of the state. North and central Florida tend to get bigger Atlantic waves, but the water is dirty and cool. And then you have sunny South Florida, where I am from. South Florida is very different from the rest of Florida. It is the melting pot of Florida because there are so many different people from all over the place here. As for the waves, you have to really keep track of whats going on in order to catch a good swell, always paying attention to low pressures, wind speeds and directions, etc. Because most of South Florida is blocked by the Bahamas, we tend to ‘miss out’ on some of the swell the rest of the state might get. BUT… when we do get waves, its amazing, beautiful, clear warm water and a perfect paradise. 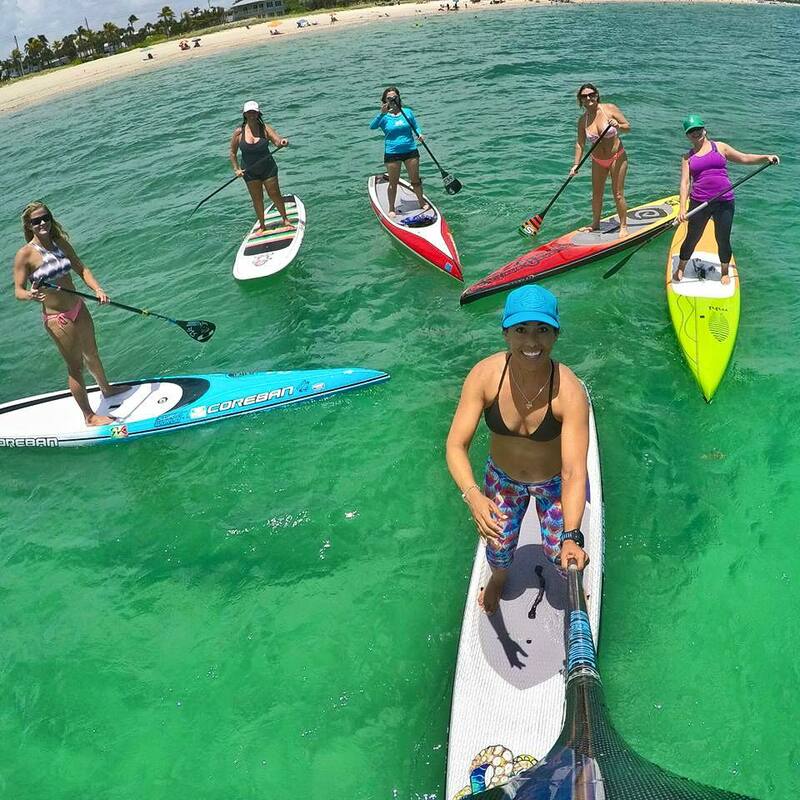 SUP in South Florida varies. We have a lot of beautiful intracoastal waterways that many have access to, so it doesn’t take much to be able to paddle around flat water, which most recreational paddlers do when it is slightly choppy in the ocean. The Florida Keys are just a short drive away for some more crystal clear water. And then of course there is miles upon miles of beach that is very SUP friendly, and we have lots of flat days where the reefs are only a few hundred yards out for some snorkeling. 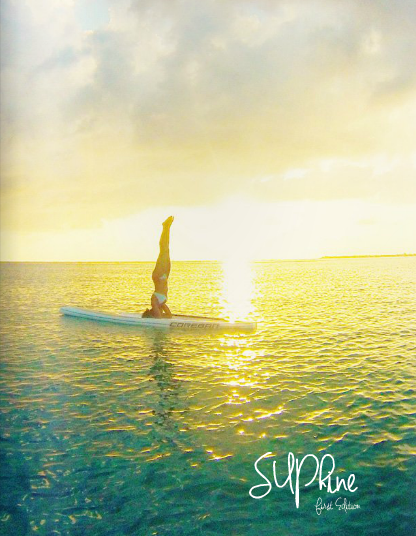 SUP has become very popular in South Florida due to its lack of year round waves. 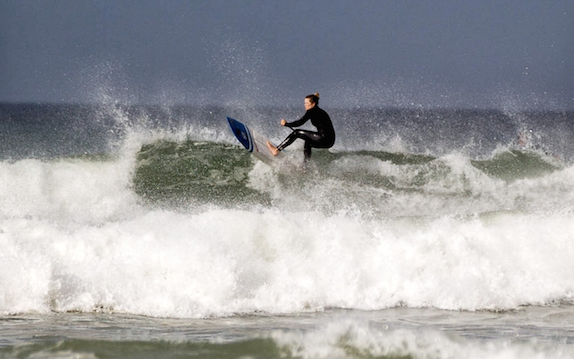 Granted we do get a lot of wind chop, and have adapted quite well to surf in the worst of worst conditions and still manage to have fun. Board choices range from short boards, to long boards. Personally, I ride a long board most of the time, but I would say it is about 50-50 when it comes to what boards people are riding around here. Riding my Coreban 7’11 SUP has been perfect for all South Florida conditions. On nice clean big days, it flies down the line. And on those windy choppy days, its light and small enough to throw around and still have some fun before the wave closes out. The vibe in Florida is very different from a lot of places. 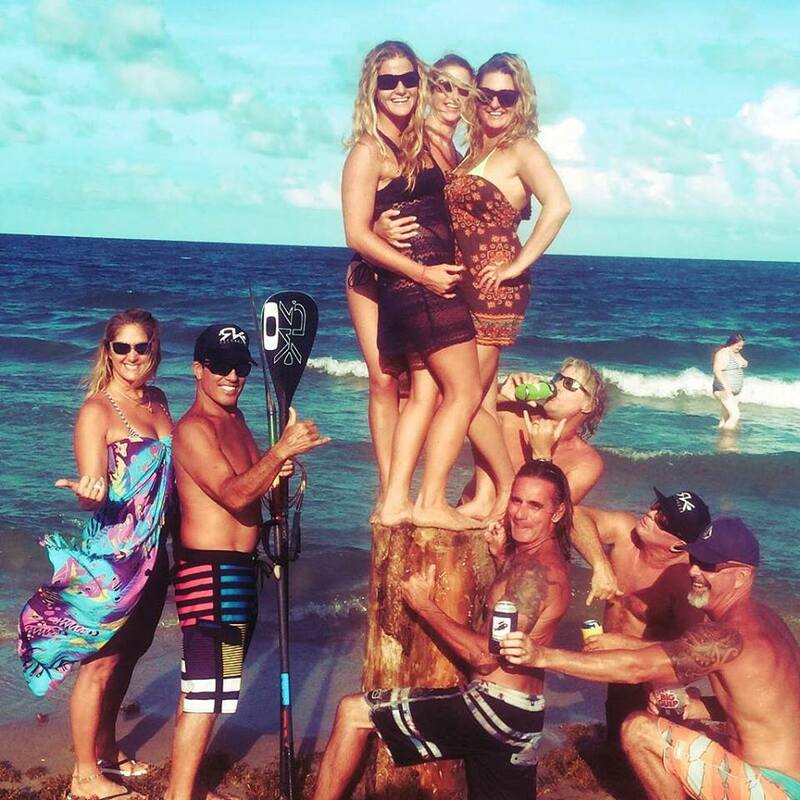 Because Florida is such a populated state and isn’t really known for ‘surf’, there isn’t an obvious ‘surf’ vibe until you actually get in the community. Once you are in, the community here is pretty small and everyone knows everyone. There are many different “groups” but for the most part everyone gets along and supports each other. It has become a lot more mellow than it used to be on the more aggressive breaks. 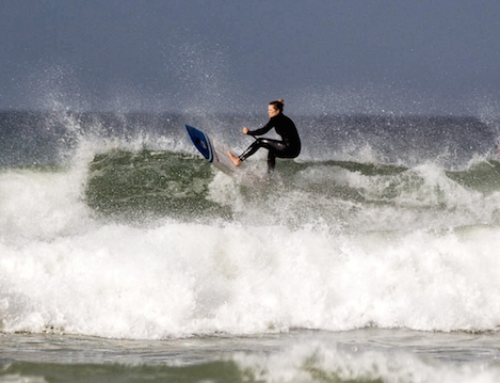 SUP’s are mostly openly accepted, except when someone who looks dangerous comes out, then the vibe might turn less welcoming, but as long as you stay on the shoulder as a beginner you will be fine. 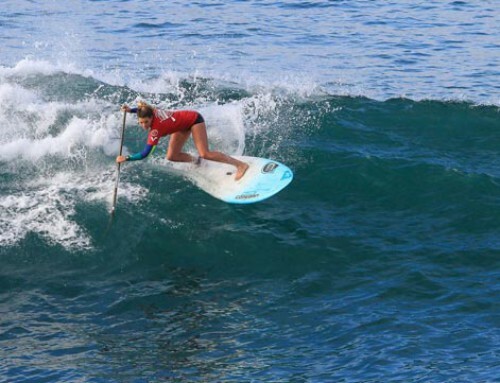 As for experienced SUP’ers or surfers, it’s the same as everywhere else, just have respect and make sure you don’t miss to many waves, and you will be brought right into the family! Victoria Burgess has also come out with the first edition of her SUPhine Mag . Check it out online. A wrap up of 2016 for the King’s!